Breitling Super Avenger Blacksteel Mens Watch Limited Edition M1337010 B930 - Professional Dealers of Coins, Bank Notes and Bullion. 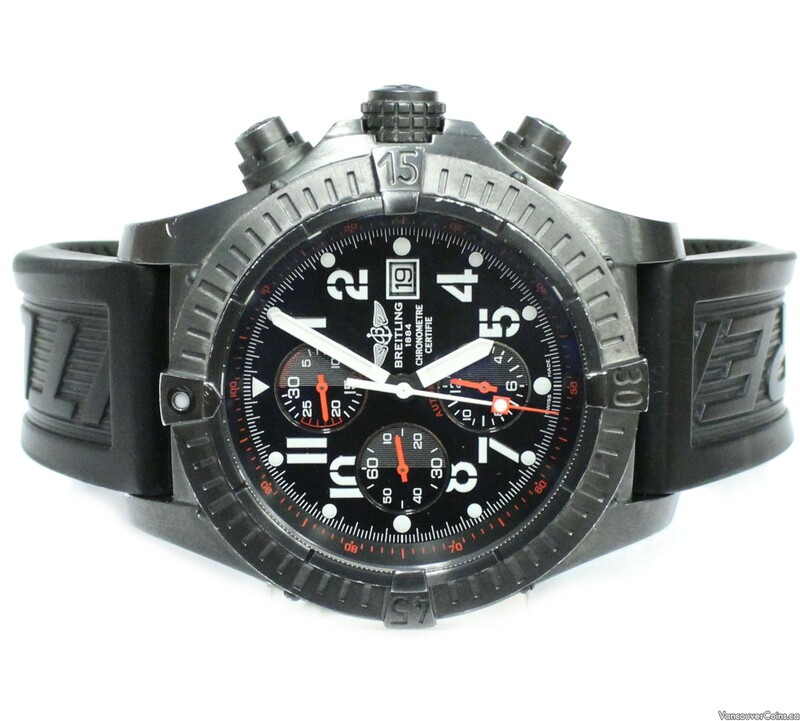 Breitling Super Avenger Blacksteel Limited Edition Automatic Mens Watch M1337010/B930 Case Size: 48.4mm Comes with original rubber bracelet Limited Edition piece No. 89 of 3000. Purchased in 2008. Complete with box and papers. Pre-owned watch is running and keeping time, with some visible wear on case and strap. Bakelite Case in good condition. Faux leather inner travel case and pillow are peeling. Outer cardboard box in fair condition.